A couple of weeks ago we discovered a lovely farmer’s market in Kingston-Upon-Thames. The produce was all quite fresh and a lot cheaper than the supermarkets. I quickly loaded up the bags with fresh fruit, vegetables and some whole trout. By the time I had finished my shopping both punnets of blueberries had been eaten by the husband and kids while they waited for me, so I went back for more. They were delicious! The most juicy and blueberry-ish blueberries we had ever eaten. So last weekend we got back on the bus to Kingston to the same seller and bought more blueberries. Bleurgh. They were awful. Full of seeds, floury, and not much flavour. The Husband said ‘you’d best just cook these ones’. Whilst I looked up blueberry recipes I noticed 2 sad looking brown bananas next to the fruit bowl and then I stumbled upon this little gem on Recipe Community – Blueberry Banana Bread. I made a few substitutions to make it gluten and dairy free: I replaced the butter with a dairy free spread, I used soy instead of buttermilk, I used gluten free SR Flour, and lastly I used my freshly milled brown rice flour instead of the buckwheat simply because I didn’t have any. I was surprised at the amount of bi-carb soda required given it was being added to SR Flour but I went with it and it turned out perfect! I recommend this recipe next time you have some unhappy fruit sitting around un-loved. 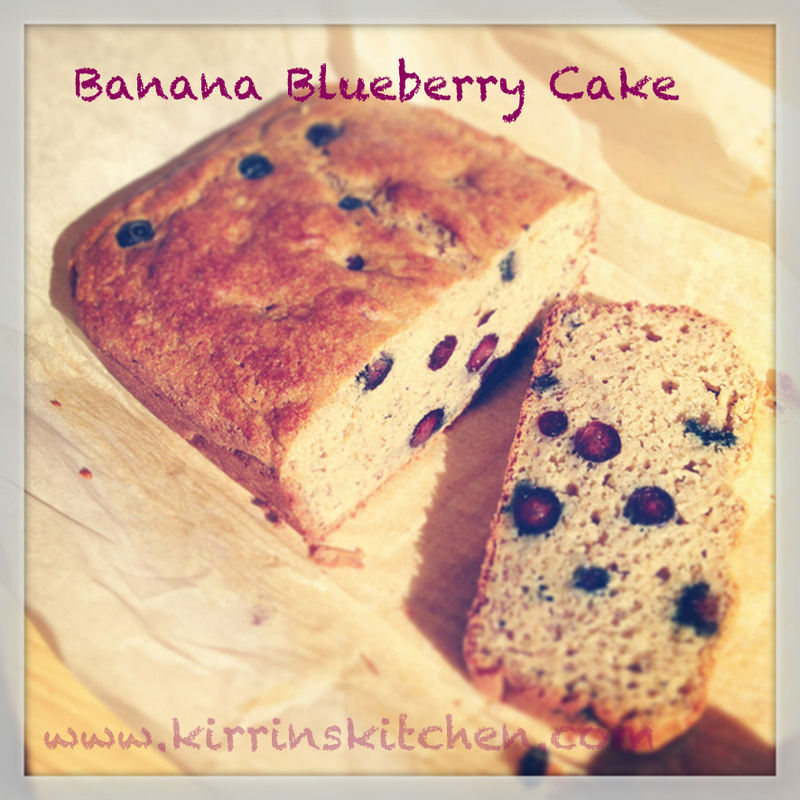 This entry was posted in Breads (including GF), Cakes, Recipes and tagged Baking, banana, blueberry, Bread, cake, dairy free, gluten free, recipe. Bookmark the permalink.